At Interplastica 2014, Wittmann Battenfeld will present two high-end exhibits: an all-electric EcoPower injection molding machine and a vertical rotary table machine. Firstly, an EcoPower 110/350 equipped with a W921 robot from Wittmann will be seen producing TPE cell phone cases with a single-cavity mold supplied by Hasco from Austria. Wittmann Battenfeld emphasized the high degree of energy efficiency, precision, cleanness and process reliability offered by the EcoPower series. Its deceleration energy of the drive systems, which is normally returned to the power supply network by an elaborate process, is used by the EcoPower entirely within the machine to provide the control system with the necessary voltage, and for barrel heating. The Austrian injection molding machinery supplier will also have a vertical rotary table machine with 110 tons clamping force on display. 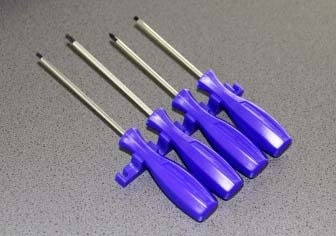 The VM 110/350 R1280 model, will demonstrate the production of screwdriver made of polypropylene (PP). The machine is equipped with an easily accessible automation cell for insert technology and parts removal. It also features a ServoPower drive with a twin pump. 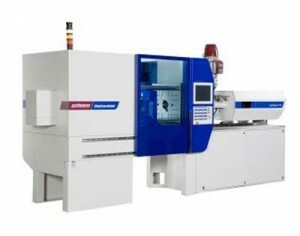 According to Wittmann Battenfeld, this enables short cycle times through time-saving parallel movements, high precision and energy-efficient operation. The machine also comes with a servo-electric rotary table drive, which provides rotation movements at maximum speed with coordinated acceleration ramps, so that the inserts are placed in position quickly and safely. Besides, Wittmann Battenfeld will also present numerous robots and peripheral equipment, including a DRYMAX Aton F120-300 segmented wheel dryer, a DOSIMAX MC 18 dosing unit, TEMPRO primus C90 and TEMPRO primus C140 temperature controllers, and a TEMPRO basic C90 as well. Moreover, a granulator from the MINOR 2 series, a FEEDMAX S3 conveying unit and a selection of flow controllers will also be exhibited.